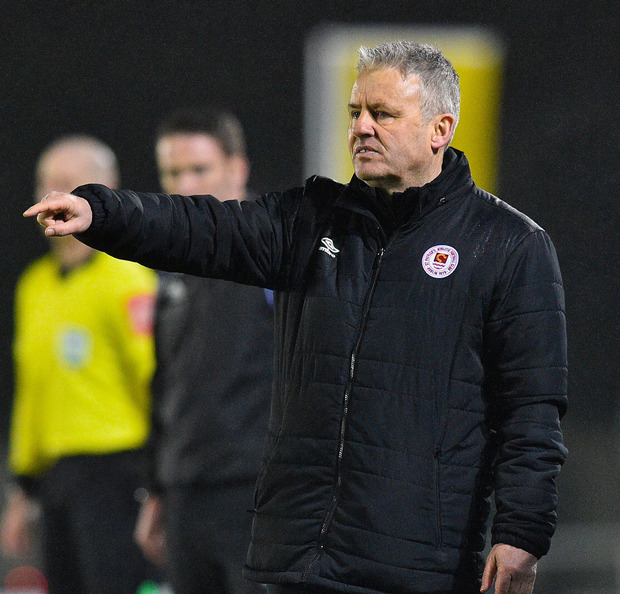 St Patrick's Athletic must be sick of the RSC after Waterford secured a third home win in a row against Harry Kenny's misfiring crew. 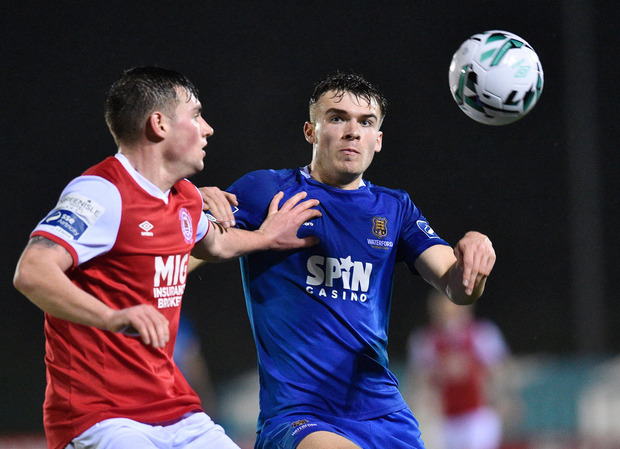 Aaron Drinan, one of Stephen Kenny's eight home-based call-ups for next week's Euro U-21 qualifier against Luxembourg, bagged a brace for the Blues. 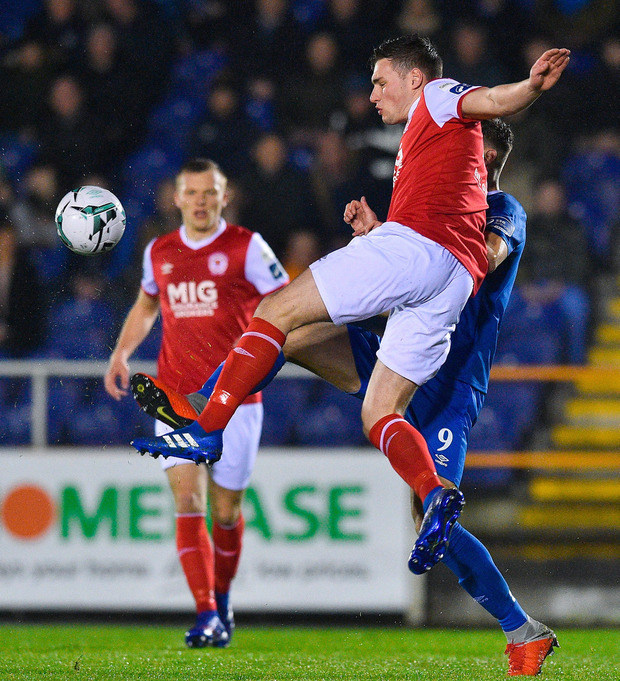 Kevin Toner has bad memories from his last visit to the RSC, having been dismissed last June, and he was fortunate not to see red again for a robust challenge on Bastien Héry. Waterford still made him pay by forging ahead from the resultant free-kick, as the Saints failed to clear Kevin Lynch's cross, allowing Drinan to head through a bunch of defenders, beyond Brendan Clarke. Drinan should have grabbed the opener only minutes earlier when he was a whisker away from connecting with Zack Elbouzedi's teasing right-wing cross. By the break, the Cork native might have scored again only for Clarke to deny his snapshot from 20 yards. Their best chance to extend the lead, however, fell to Elbouzedi. Drinan set up his fellow Ireland U-21 squad newcomer to shoot from point-blank range but his volley clattered off Clarke's near post. All the Saints had to show for their second-half comeback attempt was Brandon Miele's long-range effort which smacked off the post. Mikey Drennan, their only scorer this season, tucked away the rebound but was flagged for offside. WATERFORD - M Connor; R Feely, M Kouogun, D Delaney, K Lynch; K Chvedukas (G Poynton 56), JJ Lunney; Z Elbouzedi, B Héry (S Duggan 46), S Twine (I Akinade 81); A Drinan. ST PATRICK'S ATH - B Clarke; S Madden, L Desmond, K Toner, I Bermingham; J Lennon, R McCabe; B Miele (D Markey 73), C Forrester (D Webster 67), D Clarke (G Shaw 67); M Drennan.REF - P McLaughlin (Monaghan).